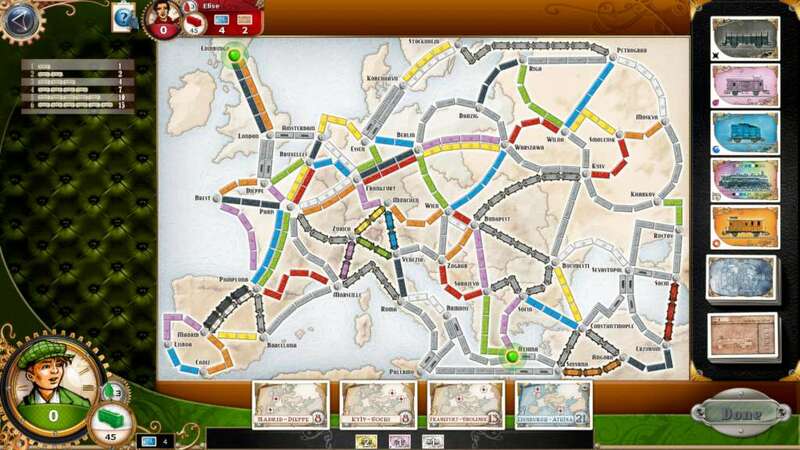 Ticket to Ride Europe takes you on a new train adventure through the great cities of turn-of-the-century Europe. 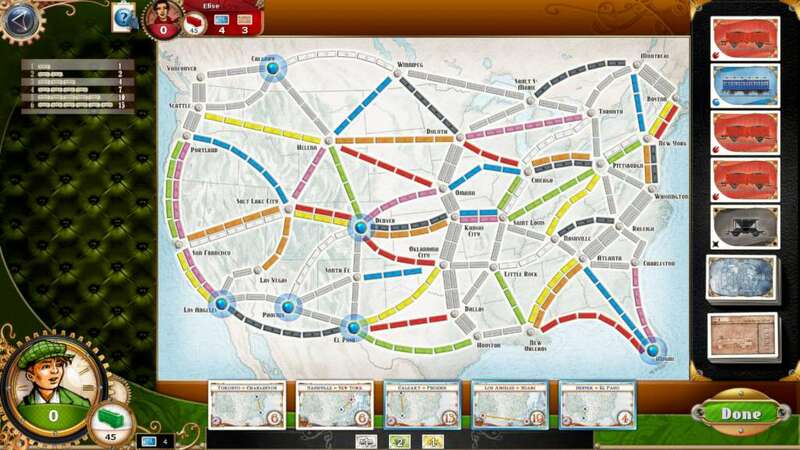 Discover new rules like Tunnels, Ferries and Stations in this new map, our most popular add-on for Ticket to Ride! 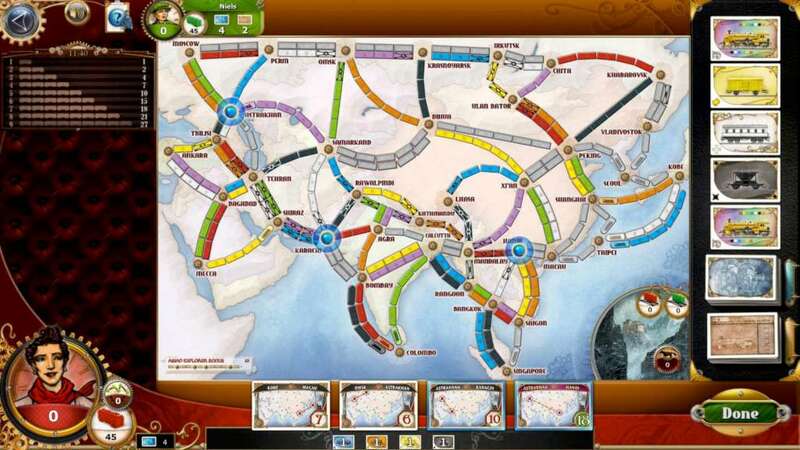 Travel along the Silk Road and wind your way through the hustle and bustle of Indochina in this new map of Ticket to Ride Legendary Asia! Just be ready for a hair-rising ride as you venture through the Mountain passes of the Himalayas in François Valentyne's winning entry to the Ticket to Ride 2011 Map Design Contest! 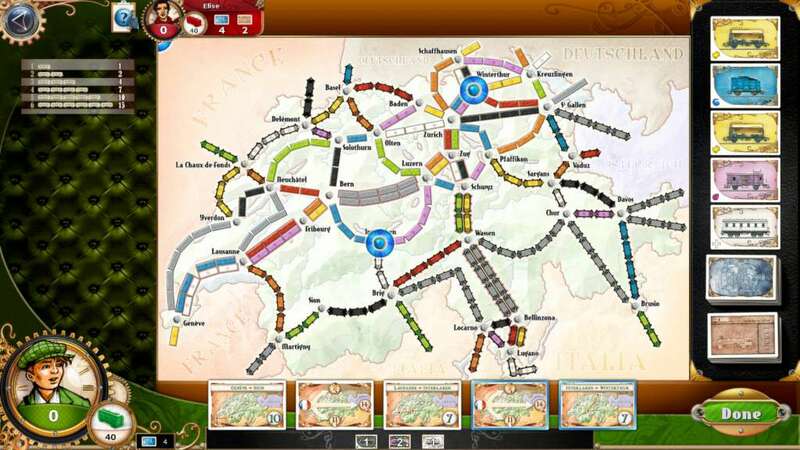 Unlike all our other maps, the Swiss map was initially designed as an Online map, and only later released as an add-on to the board game version. Specially conceived for 2 and 3 player games, this map is board game designer Alan R. Moon’s favorite! Expand your base game with 3 new Game variants and a whole new deck of Destinations tickets! Includes 35 new Destination Tickets and a new GlobeTrotter bonus card for completing the most tickets. 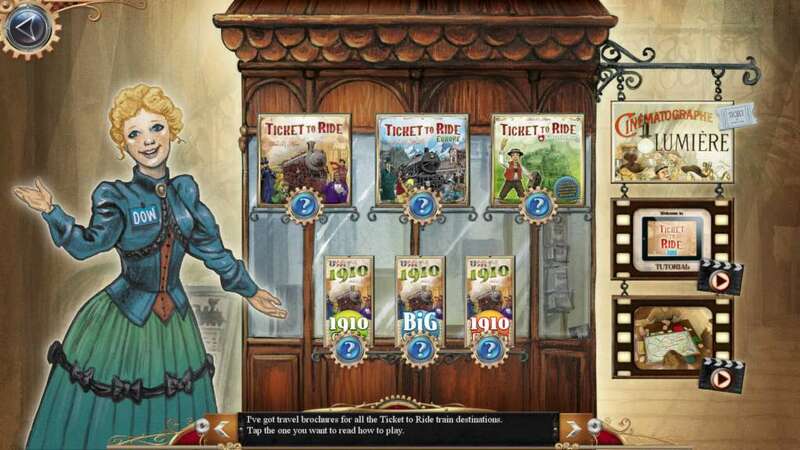 There are three new ways to play: the 1910 variant, using only the new Destination Tickets; the Mega Game variant, featuring all tickets; and the Big Cities variant, with select large cities tickets.